Sprouts are one of the cheapest yet most powerful sources of nutrition that we can include in our regular diet. These are nothing but germinated seeds of beans, lentils, grains, etc. and are rich in almost all types of nutrients, which make them a true ‘wonderfood’. So, let us discuss about sprouts today. Gram Sprouts: When it comes to adding sprouts to our regular diet, gram sprouts always tops the chart. You can go for Bengal gram (chhola), green gram (moong), red gram (masoor), etc. as all of these lentils can improve our strength as well as vitality and their sprouts add amazing flavor to the dishes. However, if you need to choose the best one from them, you should pick green gram sprouts. Bean Sprouts: These are the second most popular sprouts around the world. Almost all variations of beans, such as black beans, pinto beans, kidney beans, soy beans, pea sprouts, etc. can be used for growing sprouts and all of them are widely used in cooking due to their great benefits and awesome flavors. Fenugreek Sprouts: Fenugreek or methi has long been known for its excellent curative in nature and hence, their sprouts are also considered as quite beneficial for our health. Alfalfa Sprouts: As we all know, alfalfa plant has a lot of medicinal properties. Therefore, it is also used for growing sprouts in order to perk up our health. Apart from these, there are many other types of sprouts like radish sprouts, sunflower sprouts, Brussels sprouts, etc., which are not-so-popular yet extremely good for our health and body. 1. Sprouts contain essential enzymes for our body, which are almost 100 times more than raw fruits and veggies. These enzymes play the roles of catalysts by extracting necessary nutrients from our foods and creating robust ‘nutritional building blocks’ for our body, thereby regularizing our bodily functions. 2. Sprouts are rich in high-quality proteins, which are even better than the actual beans, grams, nuts and grains. 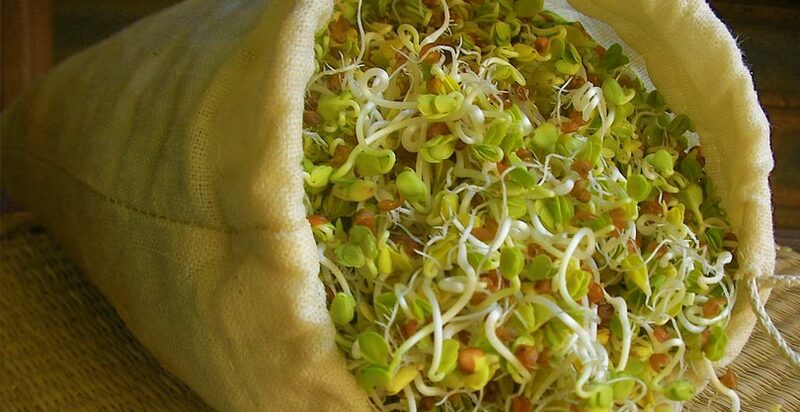 The procedure of sprouting itself improves the quality of proteins and induces more nutritional values in the sprouts. 3. Sprouts are a wonderful source of dietary fibers, which is one of the most vital nutrients required by our body. In other words, they can keep us fit and healthy by warding off toxins as well as unwanted fat from our body, thereby promoting weight loss. 4. Sprouts comprise very high levels of vitamins (mainly A, C, E and B complex), which is as much as 20 times higher than actual beans and lentils. Hence, they are definitely a healthier choice for us. 5. Sprouts have been found to be a great source of essential fatty acids. These are important for our health in order to burn excess calories and keep additional fat at bay. 6. 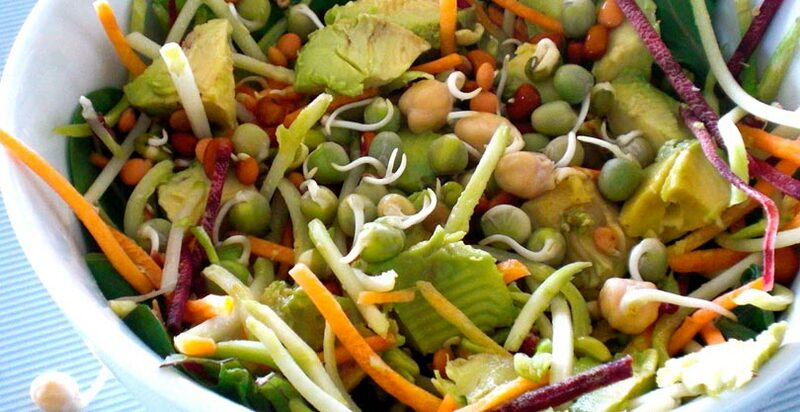 Sprouts have lots of minerals bound to its proteins, which makes the body alkaline and maintains the right pH balance. As a result, we can stay away from a number of fatal diseases. 7. Sprouts can help us a lot in preventing untimely aging. They are packed with powerful antioxidants, which fights against damaging free radicals and keep our skin youthful for long. 8. Sprouts are known to be ‘protein powerhouse’, which is highly beneficial for pregnant women. Both the would-be mother and her fetus can get high level of nutrients from sprouts and stay healthy.